• Tamar sea turtle project - NEW! If you enjoy being active and in the middle of abundant nature & wildlife experience some excitement by spending an afternoon Mangrove climbing – all very good fun! Walk into the island’s Interior starting at the end of Praia da Barra and head inwardly for around 20 minutes until you arrive at the island’s 2nd Interior area. Go here towards the River at the island’s back where you will find massive, giant Mangroves growing wildly as you have never seen before, ideal for your mangrove climbing. 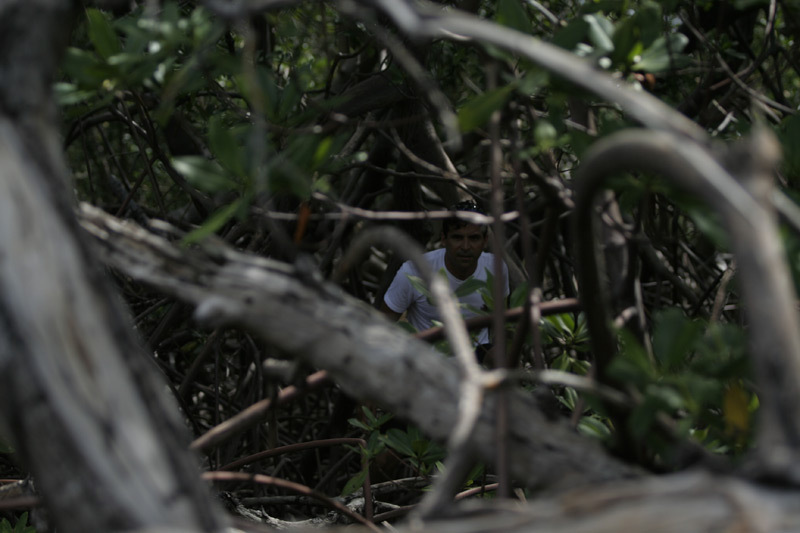 The Mangrove roots are so big and giant, that they can easily stand your weight and various manoeuvres. Climb Mangrove and try to balance your body over the unlevelled roots everywhere: appreciate to sometimes fall into really shallow water if you don’t manage. But do use adequate clothing and closed footwear for Mangrove climbing!